Tottenham's status as one of the Premier League's new 'big boys' is reflected in their participation in the International Champions Cup this summer. The showpiece tournament sees Europe's most popular and best clubs invited to contest games in the United States and Asia, and Spurs can now consider themselves a part of that club on the back of their performances over the past two seasons. 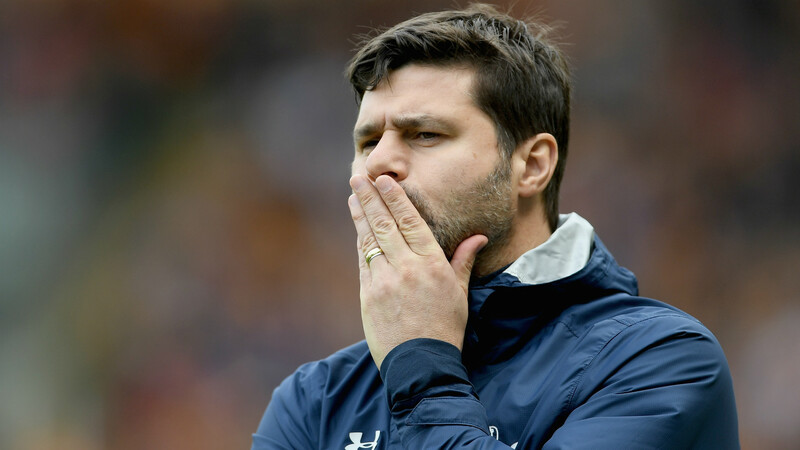 Mauricio Pochettino will hope to make it third time lucky in making a third bid for a Premier League title in 2017-18 and could be set for another busy summer, with interest in his top players expected. This is your complete guide to the fixtures awaiting Spurs during pre-season. Tottenham have four pre-season fixtures, three of which will come as part of the International Champions Cup in the United States. Spurs kicked off in Florida on July 23, taking on Paris Saint-Germain at Camping World Stadium - also known as the Orlando Citrus Bowl. The Premier League side triumphed in a six-goal game, winning 4-2 . Pochettino's men then flew two-and-a-half hours north to New Jersey, where they faced Roma at the New York Red Bulls' Red Bull Arena in Harrison, falling to a 3-2 defeat that featured two 90th-minute goals . After another two-and-a-half-hour flight southwest, Spurs landed in Nashville for their third and final game of the tournament: an all-Premier League affair against Manchester City at the Tennessee Titans' 69,143-capacity Nissan Stadium. It was disappointment for the North Londoners though, as City triumphed 3-0 . Tottenham then return to England, where they will get some practice in at Wembley, which will be their home stadium for the 2017-18 season, in a showpiece match against Serie A champions Juventus on August 5, approximately a week before their Premier League kick-off. With no Community Shield or early European commitments, Tottenham's first competitive match of the season will be in the Premier League. They take on Newcastle United at St James' Park in what should be one of the must-watch games of the opening weekend - the fixture has been moved to the afternoon of Sunday, August 13, so that it can be broadcast on television. Spurs kept their pre-season schedule light last year and played only three friendlies, so the four they have scheduled this year may be the extent of their on-pitch preparation for the big kick-off. Tottenham secured direct qualification for the Champions League group stage, meaning their continental action will not begin until September.